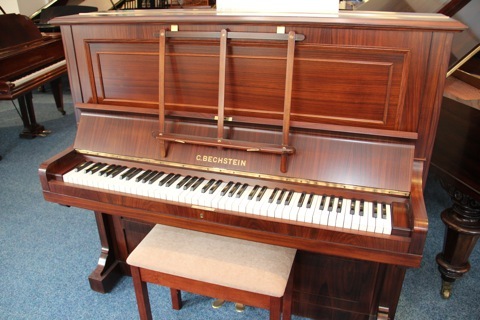 Here is an example of a 1905 Bechstein model 10 upright piano which has recently returned from the workshop. The casework has been revived, and the action reconditioned. It’s a lovely instrument.